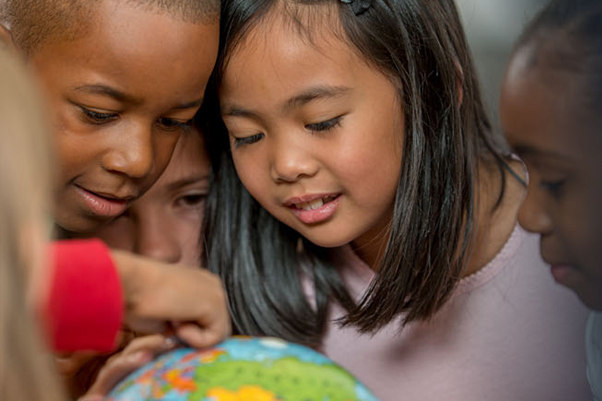 The brand-new World Language Academy at Wimbish, opening in fall 2019, will provide students in prekindergarten through sixth grade rich learning experiences, language proficiency in multiple languages, cultural understanding and an expanded world view. Engaging classroom experiences will prepare students for language proficiency in multiple languages. Students can select a dual-language pathway in either English/Spanish or English/French that will ensure that students are fluent Spanish or French speakers before they head to junior high. Students will also explore the cultures of the languages, have an introduction to a third language starting in second grade and summertime activities to keep their language skills stellar. Cultural arts will include dance, drama and varied art formats including drawing, painting, clay and photography. In today’s global economy, the demand for bilingual employees in the US has more than doubled; Wimbish World Language Academy students will be bilingual before graduating sixth grade and have the opportunity to earn high school language credit! Apply now for limited openings in pre-K through sixth grade: www.aisd.net/specialprograms. Applications have been reopened – apply today!